Does anyone know the dragon evolution sphere locations? So far I got Wind Tablets from Thunder Dragons and Fire Tablets from Pyro Dragons (I assume all 3 of their evolutions drop them). The first dragons from each elemental set drop their own first tablet drop of its type. For second, they are scattered. I believe if you look at the elemental wheel, its the one before the element you are killing. Electric drop wind, Water drops lightning tablet, etc. Third dragon I assume drop the last evolution item, however I am yet to manage to beat a round. Got a Water Nugget (tier 2 -> 3) from the Mithril Dragon now. Pretty rare though if I think about how many times I've killed them already. Just got a wind tablet and a lightning jade off one drop from the celestial baby dragons. Kinda shocked I got two elements from one group in a single drop. Hi pms, is water nugget dropped from earth dragons? I got 3 water tablets from 2nd evolution earth dragons after few hundreds farming attempts, but no nuggets... Where does it drop from? Is a chance to drop it bigger on a 3rd evolution dragon, mithril? 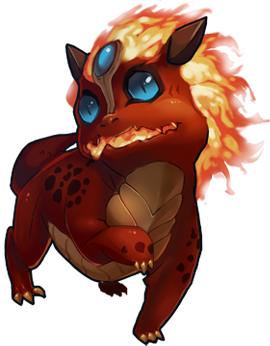 Hi P3R0, Water Nugget does drop in the 2nd dragon battle against the Earth Dragon, but the drop rate is low because it's the most rare material to evolve the pets. It also drops in the 3rd dragon battle against the Mithril Dragon and the 4th dragon battle against multiple dragons. The drop rate in the latter 2 stages is doubled but still relatively low. Playmage support, thank you for answering me.it makes sence. Seems like i won mithril dragon once by accident and i cant repeat it. I will have to farm a purple foxie in order to conquer them. Thanks!